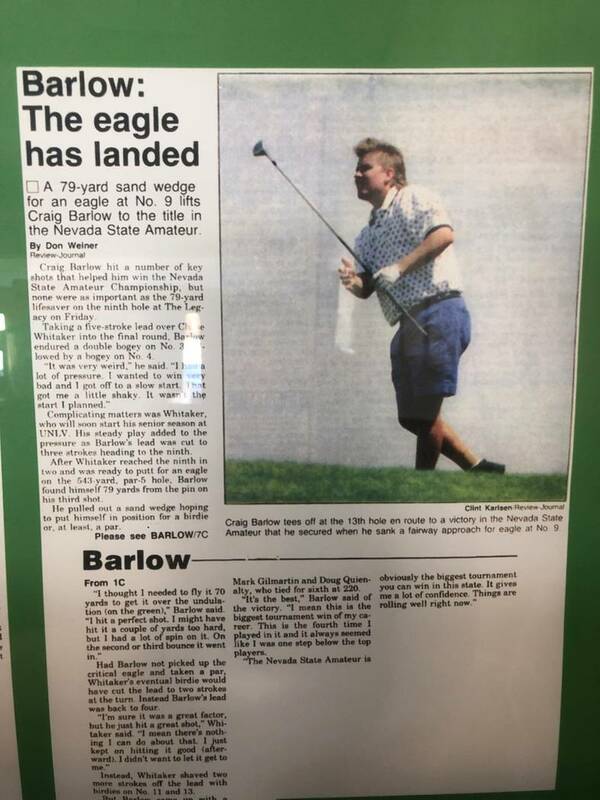 PGA Tour veteran Craig Barlow has played in eight major championships, made 167 cuts on the PGA Tour and 37 on the Web.com Tour, but his victory at the 1994 Nevada State Amateur played at Legacy Golf Club still stands out. “Winning the Nevada State Amateur was a highlight of my career, including my professional career,” Barlow said. “I can close my eyes and think about how I felt being the champion. I can’t say that I’ve felt too much better golf wise. The U.S. Open begins Thursday and the Nevada State Amateur is July 9-11 at TPC Summerlin, the host course of the Shriners Hospitals for Children Open. The U.S. Open and state am will forever be linked to Barlow’s career. Just a few weeks prior to his state victory, Barlow made the U.S. Open field through sectional qualifying at Legacy and then played in the Open at Oakmont Country Club in Pennsylvania. “When I qualified for the U.S. Open, it was a complete shock,” Barlow said. “I was a good player, but I definitely wasn’t considered the best player in the area. Qualifying for the U.S. Open gave me more confidence than I could have ever dreamed. At the time, Barlow didn’t have a career plan, but had met LeeAnn, his future wife, in December of 1993. Her influence combined with his on-course success made the path clear. 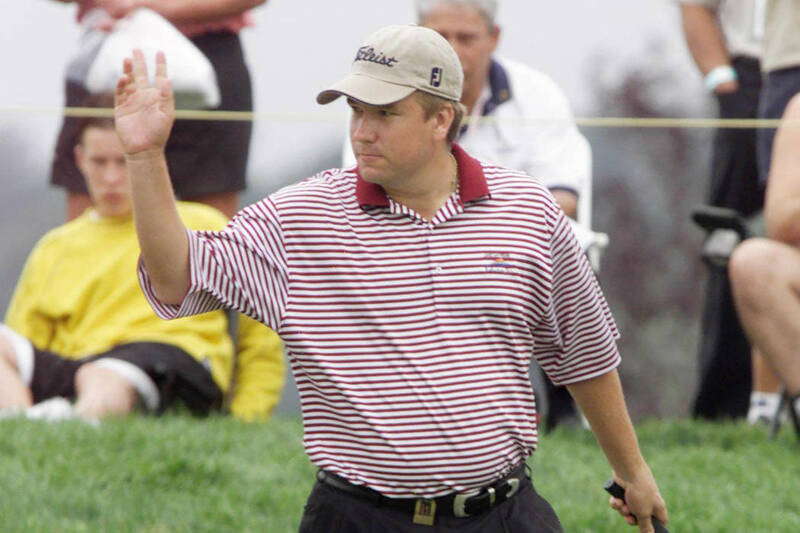 Barlow is no longer exempt on the PGA Tour, but as a veteran member he still qualifies for the occasional tournament. His main passion now is teaching the game. As of July 1, Barlow is moving from Anthem Country Club to Lake Las Vegas, where he will unite with golf operations director Eric Dutt, a fellow Las Vegas Golf Hall of Famer. Dutt won the 1976 Nevada State Amateur. The state am is at TPC Summerlin for the second time and will be set up in Shriners Open conditions. Former champions playing include 2017 winner Daren Johnson, Edward Fryatt, Brady Exber and Greg Horodesky. Barlow can be reached at craigabarlow@mac.com for lessons. Through June 30, locals can get lunch and golf for $79 at Bali Hai. Danielle Kang attended Stanley Cup game five at T-Mobile Arena. When: Thursday-Friday, 8 a.m.-3 p.m. (FS1), 3-6 p.m. (KVVU-5); Saturday, 8 a.m.-5 p.m. (KVVU-5; Sunday, 8 a.m.-5:30 p.m. (KVVU-5). Where: Southampton, New York. ; Shinnecock Hills GC. (7,445 yards, par 70). When: Thursday-Sunday, 10:30 a.m.-1:30 p.m. (Golf Channel). Where: Grand Rapids, Michigan; Blythefield CC. (6,451 yards, par 71).